This will enable you to include your latest posts, a gallery slider, a post slider and post list. This will allow you to display your blog as standard blog layout. 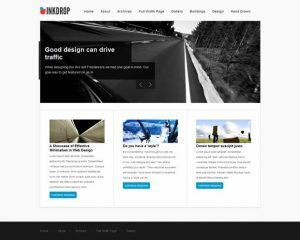 This theme is diverse enough that the home page can be used for blogging, a portfolio or for business. With this in mind they have given the home page widgets the capability to simplify your home page so that you can setup a simple business style home page. This theme is diverse enough that the home page can be used for blogging, a portfolio or for business. The theme has 7 different color schemes to choose.